Never underestimate how useful this pouch can be. Like anything useful, when you need it and do not have it, you sing a different tune. Avoid catastrophe and make sure you have always got a Simple Pouch or two attached to your belt. 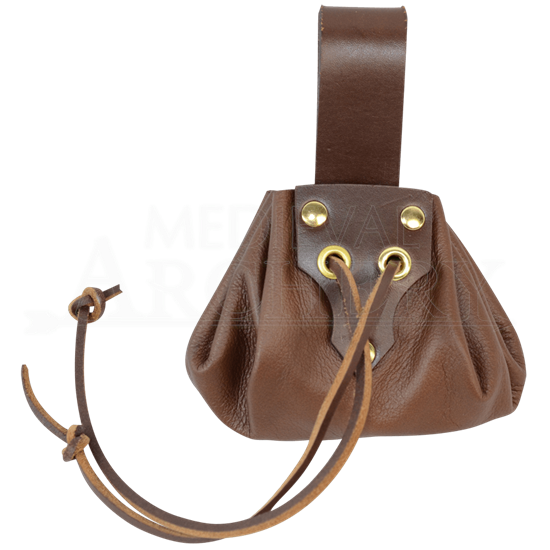 This pouch is made from quality materials, including high quality leather, ensuring that it is an authentic pouch to have hanging on your belt whenever you are attending a LARP event or a Renaissance fair. 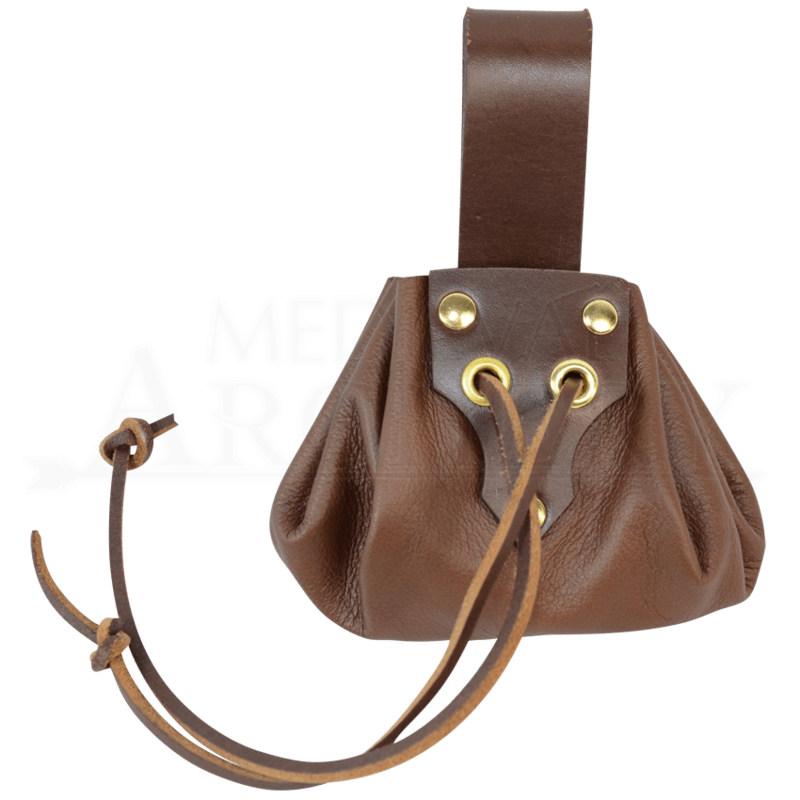 It is a draw-string style pouch that features a leather closure for securing the pouch closed and a belt loop that will keep the pouch secured easily at your side. It comes in two different colors, either black or brown. Kept within easy reach, this Simple Pouch is a great place to store your loose change, your keys, or a variety of other little novelties that might go right along with your costume, like fairy dust for fairies or jewels or a thief. This pouch fits up to a maximum belt width of 2.25 inches.